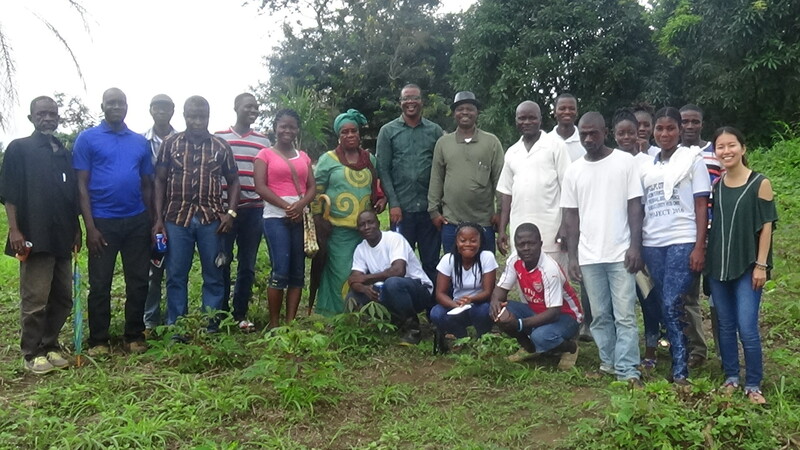 On Saturday, July 13, 2018, Camp for Peace Liberia, a youth-focused non-governmental organization launched the Farmer Field School in Salayea, Lofa Country. The Farmer Field School is a youth community-driven approach to agricultural training and education which enable young people to find sustainable solutions to complex challenges of food and security in the country. About 18 students are enrolled in the FFS. They will meet regularly to identify common problems and work jointly to develop solutions for agricultural production in that part of the country. This innovative approach will allow young people and other farmers to find locally-adapted solutions to specific problems, such as crop diseases, climate change impacts, soil, land and water management, or disaster risk reduction. The Farmer Field will also help to promote social cohesion and community empowerment among youths of the district. 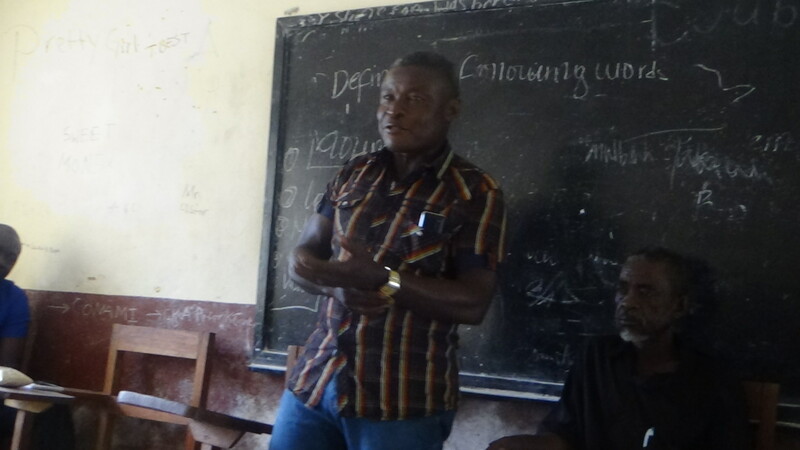 Speaking at the launch of the school, the Executive Director of Camp for Peace Liberia lauded its partners for the level of support they continue to receive. He also used the occasion to thank the local government authorities for the reception and opportunity afforded his organization and the youth of the district to initiate such a worthy undertaking. Mr. Learwellie said the FFS will prepare young people to see agriculture beyond the ordinary, adding that this is a new era and as the world move rapidly so it is innovation and creativity. He said Liberia development process squarely depends on the level of innovation, hard work and commitment that young people bring to the table. 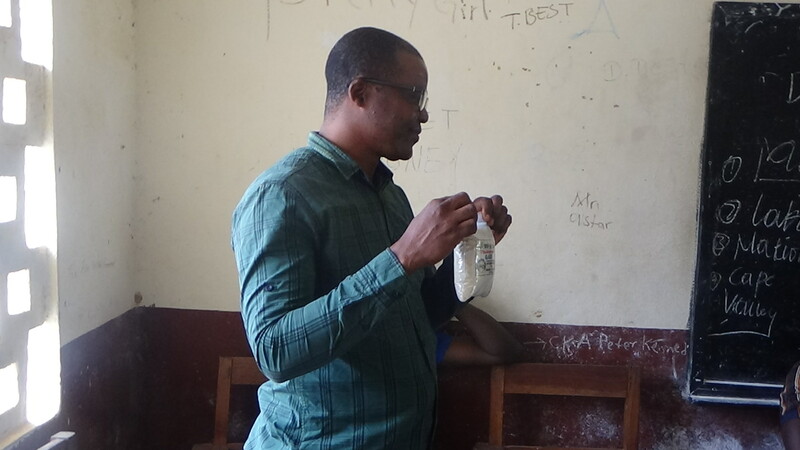 He therefore encouraged and challenged the students to take whatever will be taught at the training site to better their future. In separate remarks, the Paramount Chief of Salayea District, Madam Martorma Saryon lauded Camp for Peace Liberia for the initiative. 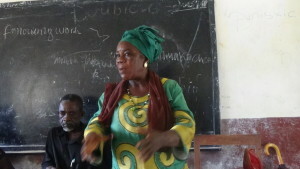 She told the students to take this as an opportunity to next step in their lives. She also promised to lobby with other organizations that support women work to support the students, especially female students that are enrolled in the program. Madam Saryon pledged her fullest support to Camp for Peace on behalf of the chiefs and elders of the district. For his part, the newly appointed commissioner of Salayea District, Hon. Ben K. Gorlema embraced the gesture and pledged government’s support to the FFS launched by Camp for Peace Liberia. He stated that Agriculture is the backbones for peace and stability in any country. He also disclosed that the Government has a very great interest in Agriculture and will do all to support the Farmer Field School at the Farmer Resource Center. He lauded Camp for Peace Liberia and its partners for the great initiative embarked upon.